3-C Nectar was a cola which was produced by the Columbia Chemical Corporation of Roanoke, VA. The brand advertised that their brand had no caffeine, cocaine, or other habit-forming drugs. The brand was also bottled as far away as Philadelphia, Pennsylvania, and Coney Island, New York. The company employed a stock incentive plan with their distributors, where shares of stock were given out to retailers in order to give them incentive to push their product. (1) The only problem with this was that eventually this stock was used to purchase automobiles, and other items, by company officers, which led to the downfall of the corporation, and brand, by 1925. 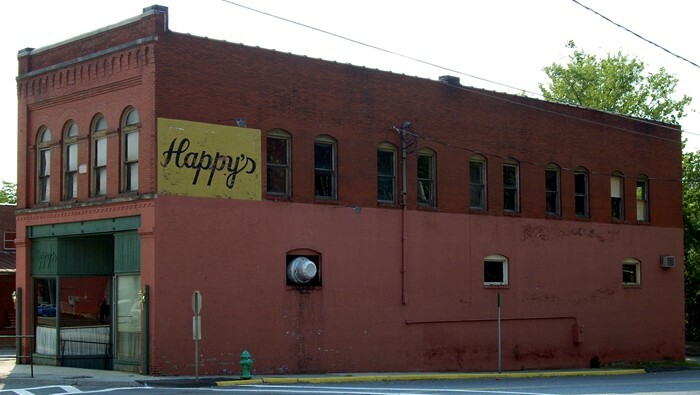 (1) According to Wythe Hull's The History of the Marion Bottling Company, Inc. , the Marion franchise only lasted about eighteen months, which would be sometime at the end of 1922. (1) If you want to learn more about the brand then click on the 3-C Nectar Story link where I have the full history of the brand. The J. B. Rhea building as it stands today. 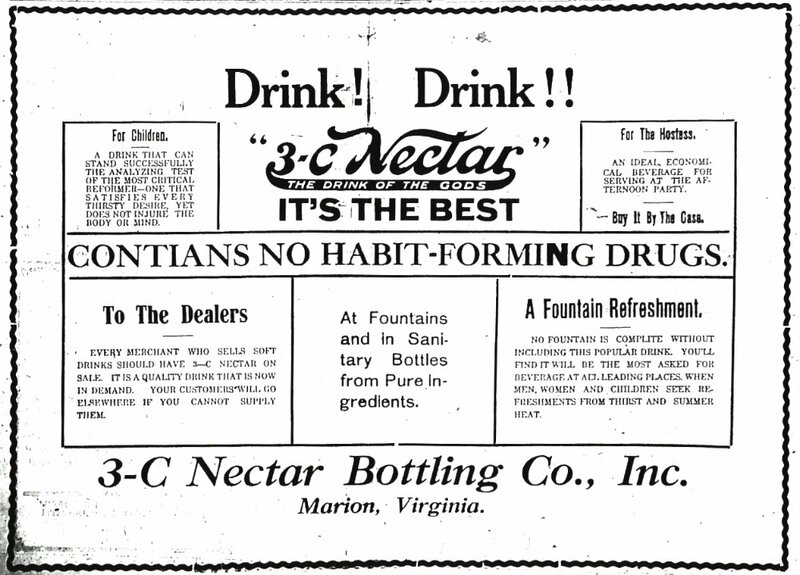 The first advertisement I found for 3C Nectar from the May 1921 Marion Newspaper.